Welcome to the review on Battlefield 4 enjoy. Hello guys it is apex awesome with another review for battlefield 4. 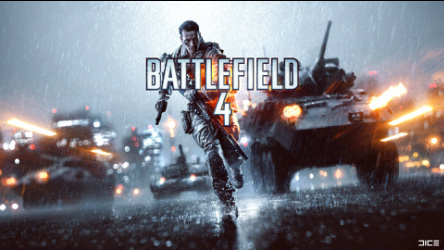 Battlefield 4 is a first person shooter with a lot going for it amazing graphics, game play and the fact that you can drive vehicles in game is especially fun. Multiplayer is crisp and great to play, personally I like playing with my friends. The various maps and game modes make you have a option to pick large scale vehicle warfare or close quarter combat. At the the begin you start with default classes Assault, Engineer, Support and Recon. While playing you can unlock attachments to personalize your load out, to suit your playing style if its stealth or run in and fire battlefield 4 has everything. Unfortunately fourth of the series has no split screen making it only one player offline, it can have texture problems at the begin of a match and there are quite a few glitches. The campaign is based on the life of Sargent Recker of Tombstone, also Irish and Pac his group members.